Biological advances have resulted in immunotherapeutic regimens that target co-inhibitory receptors such as PD-1 to reverse T-cell exhaustion and promote anti-tumor responses that eradicate human tumors. However, despite its success in many cancer types, a substantial number of patients do not respond to PD-1/PD-L1 blockade. This includes patients with the B-cell malignancy follicular lymphoma, suggesting that co-blockade of co-inhibitory receptors may be necessary to achieve optimal anti-tumor T-cell responses. In a study recently published in Clinical Cancer Research (journal impact factor 9.6), the authors demonstrate the power of using high dimensional flow cytometry analysis of follicular lymphoma tumors to identify new targets for checkpoint blockade. Characterization of co-inhibitory receptor expression patterns was combined with functional assessment of T-cell receptor-induced signaling responses. This approach successfully identified TIGIT as the main co-inhibitory receptor. Follicular lymphoma CD8 T cells had reduced production of IFN-γ as well as highly reduced T-cell receptor induced phosphorylation of MAPK ERK. Reduced T-cell function correlated with TIGIT expression and could be fully restored by in vitro culture in absence of TIGIT ligands. TIGIT-expressing CD8 T cells also commonly co-expressed PD-1. The results provide new insights into mechanisms that contribute to immune suppression, and suggest that TIGIT blockade, potentially in co-blockade with PD-1, may be a promising strategy for improved immunotherapy. The study, published online in Clinical Cancer Research on December 7th, is a collaboration between OUS, UiO and several international partners, including Ronald Levy at Stanford University and Jonathan Irish at Vanderbilt University in the US. 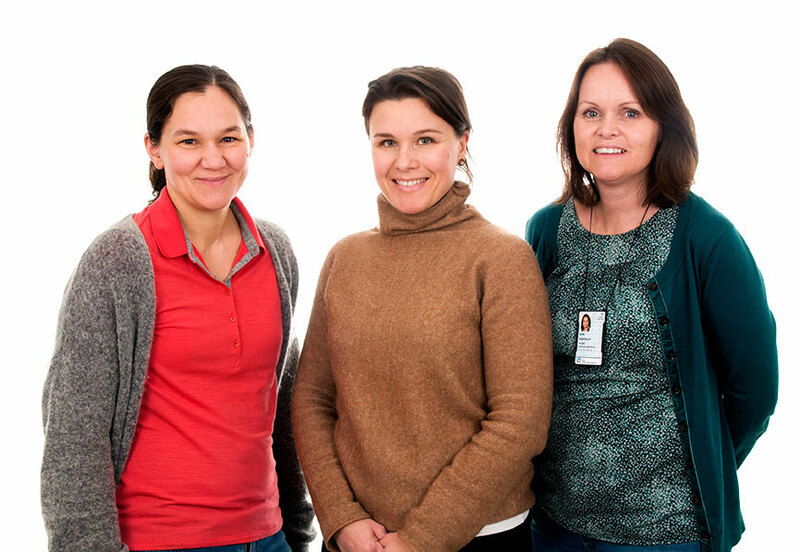 From left: Kanutte Huse, Sarah Josefsson (first authors) and June Myklebust (last author). Clin Cancer Res. 2017 Dec 7. pii: clincanres.2337.2017. doi: 10.1158/1078-0432.CCR-17-2337.